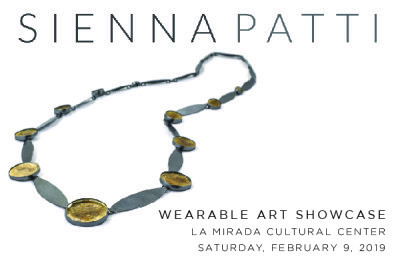 Please join the Monterey Museum of Art for an exclusive showcase of wearable art with curator Sienna Patti at the La Mirada Cultural Center. In her first and only exhibit on the West Coast after the FOG Design+Art Fair, Patti will speak about art as adornment with a focus on California studio artists. Following, participants have the opportunity to purchase these unique pieces including jewelry by San Francisco artist Raissa Bump. Please join us as a portion of the sales will support exhibitions and programming at the Monterey Museum of Art.